In April 2016, Ladonna Bravebull Allard (Standing Rock Sioux) established the Sacred Stone Camp in North Dakota to protect the Mne Sose (Missouri River) from the Dakota Access Pipeline. Over the summer, thousands of people, who called themselves water protectors, joined the camp and established two more. The limited media coverage in both established news sources and social media largely represented the water protectors’ concerns as being that the pipeline, which is slated to carry around half a million barrels of crude oil daily, would leak, thereby poisoning the water supply of the Standing Rock Indian Reservation. Similarly, photographs of peaceful water protectors confronting heavily militarized police, chaining themselves to large bulldozers, and being blasted by water cannons in the freezing winter months depicted this episode of Indigenous activism in an iconic and expected way. Once again, the world saw Native peoples as standing in opposition to capitalism and development. This coverage reflected and perpetuated the trope that Indigenous activists are only a foil to modernity. More was going on at Standing Rock, however. By placing the water protectors’ activism within the larger context of history and listening carefully to a more complete range of their concerns, a bigger picture framed by the politics of self-determination emerges. So, in teaching Native history in the era of Standing Rock, we need to move beyond the one-dimensional stereotype of Indigenous peoples as guardians of the Earth to examine how Indigenous activism has long been about advocating for self-determination. Approaching Native history this way demonstrates that Indigenous peoples are not inherently and always at odds with economic development. Whether through the development of natural resources or through activism against development endangering Native communities and homelands, actions of self-determination illustrate that Indigenous peoples have sought—and continue to seek—control over their livelihoods and ways to maintain their unique identities and values in the present and into the future. Take, for example, the Makah tribal nation, located in Washington State at the most northwestern point of the contiguous United States. They combined customary practices—such as hunting sea otters, whales, and seals, and fishing for halibut and salmon—with the modern opportunities of global markets in furs, fish, and whale oil and bone to succeed financially from the 1780s into the early twentieth century. Makah skills at hunting sea otters and trading for otter skins from neighboring Native communities enabled them to maintain, even expand, their authority throughout the Pacific Northwest in the late eighteenth century. By the mid-nineteenth century, they were trading tens of thousands of gallons of whale oil annually to the Hudson’s Bay Company and American vessels sailing through Makah waters. As the presence of white settlers grew in the later nineteenth century, Makah fishers caught millions of pounds of halibut and salmon for their own consumption and for both local and national markets. In the 1880s and 1890s, Makah sealers invested their earnings in fleets of schooners that they crewed and sailed into the Bering Sea. Their profits from the ocean made them wealthier than most Native and non-Native neighbors, and Makah entrepreneurs deposited cash in local banks, started new economic ventures, and sent their children to regional schools in order to become savvier at exploiting the burgeoning settler colonial economy. Much to the consternation of the tribe’s Indian agents, wealthy Makahs also spent considerable sums on potlatches, a Northwest Coast customary practice that redistributed wealth and confirmed an individual’s status. As they faced tightening federal assimilation policies, Makah economic autonomy enabled this tribal nation to enjoy a measure of self-determination. Throughout the nineteenth century, these favorable adaptations to economic development allowed them to maintain their identity as a people of the sea amid the expansion of the settler colonial world. And Makahs were not the only tribal nation that pursued economic development in identifiably modern ways that supported community priorities. Drawing on centuries-old whaling traditions, New England Natives, such as Wampanoags, Shinnecocks, and others, labored—even served as officers—aboard Pacific whaling ships in the nineteenth century to sustain their communities economically. American Indians at Metlakatla, Alaska, and on the Menominee Reservation in Wisconsin, respectively, engaged in canning salmon and logging as culturally appropriate livelihoods that sustained their independence from settler colonial authorities in the late nineteenth century. Contemporaneously, Round Valley Indian workers in California exploited porous reservation boundaries to maintain Indigenous community despite exploitative economic structures and paternalism from government officials. From the 1930s to the 1960s, Navajo coal miners, laborers, and weavers shaped labor markets both on and off the reservation in order to maintain reservation households and hózhó, a Navajo value the reflects a universal state of balance. Like Makah whalers, sealers, and fishers, these Indigenous workers pursued alternative forms of capitalism that allowed them to continue being Wampanoag, Menominee, or Navajo during the height of federal assimilation efforts that sought to stamp out these unique identities and Native autonomy. The activism of the water protectors at Standing Rock also reflected efforts to protect and strengthen Indigenous self-determination. Initially, Energy Transfer Partners, the corporation that had gained approval from the Army Corps of Engineers to construct the pipeline from the Bakken oil fields in North Dakota to southern Illinois, had planned to make one of the two Missouri River crossings near Bismarck, the state’s capital. After the largely white residents of Bismarck complained that a leak would affect the water supply of the city, the corps re-routed the pipeline to cross the Missouri at Lake Oahe, about half a mile from the Standing Rock Indian Reservation. In setting out this new route, the corps received exemptions from the environmental review normally required by the Clean Water Act and National Environmental Policy Act, which would have necessitated consultation with the tribal nation and other local stakeholders. Instead, the corps’ engineers tried to reassure Sioux living at Standing Rock that they did not need to worry because the chance of an oil leak was low. When situated within the larger historical context of Native history, the activism at Standing Rock shows that Indigenous peoples do not obstruct development because they are anti-modern or opposed to all development in general. True, the actions of the water protectors at Standing Rock encouraged those who know little about Native history to conclude otherwise. 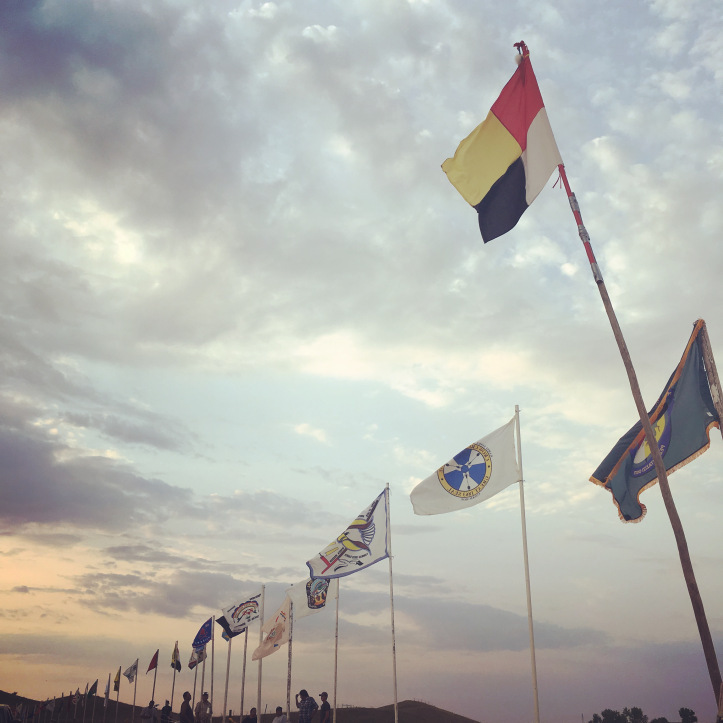 Activists at the Sacred Stone Camp and others called themselves “water protectors” and deployed the slogan that “water is life,” which reflects a Sioux worldview that is common among many Indigenous peoples: that rivers, like other features and resources of homelands and waters, should be treated like other living entities. Yet, as history reveals, the situation at Standing Rock was more complex. Indigenous peoples, often among the poorest communities because of the vicissitudes of historic and contemporary settler colonialism, eagerly welcome and pursue economic development, as long as it is done in ways that support the self-determination of tribal nations and align with Indigenous values. Joshua L. Reid, The Sea Is My Country: The Maritime World of the Makahs (New Haven, CT, 2015). Nancy Shoemaker, Native American Whalemen and the World: Indigenous Encounters and the Contingency of Race (Chapel Hill, NC, 2015). Brian C. Hosmer, American Indians in the Marketplace: Persistence and Innovation among the Menominees and Metlakatlans, 1870‒1920 (Lawrence, KS, 1999). William J. Bauer, We Were All Like Migrant Workers Here: Work, Community, and Memory on California’s Round Valley Reservation, 1850‒1941 (Chapel Hill, NC, 2009). Colleen M. O’Neill, Working the Navajo Way: Labor and Culture in the Twentieth Century (Lawrence, KS, 2005). Michael L. Lawson, Dammed Indians Revisited: The Continuing History of the Pick-Sloan Plan and the Missouri River Sioux (Pierre, SD, 2009). David Archambault II, “Taking a Stand at Standing Rock,” New York Times, Aug. 24, 2016. For a recent comparison, see the 140 years of efforts taken by the Whanganui Māori in Aotearoa New Zealand in persuading that nation to grant legal personhood to the Whanganui River. Josh Reid is Associate Professor of History at the University of Washington.